CCTV Plays Important Role in Theft Deterrent - Altec Systems Inc.
Posted on June 6, 2013 at 9:33 am. Remember the days when we could all leave our doors unlocked and businesses didn’t require every kind of security from Internet security to trained and skilled security officers manning the front and back door? Sadly, those days have gone, but there’s no need to fret. 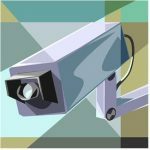 There are multiple ways of securing your place of business in a cost-effective manner, and one of those ways is through the smart installation, placement, and use of closed circuit television (CCTV). CCTV is the use of video cameras to conduct surveillance of an area through transmission to selected monitors. It can be used covertly or “in plain sight”. The “in plain sight” option is used as more of a deterrent to crime, whereas a criminal is less likely to attempt utilizing his/her skills on a business where they can actually see video cameras “in plain sight”. Where goods and inventory are scanned for price and quantity. Office areas being used for financial operations. Any area where cash is being stored. A perfect example of the usefulness for these systems happened on that dark day when the Boston Marathon experienced severe tragedy in the form of two terrorist bombings. One small consolation to this event was the fact that the retail store, “Lord & Taylor” had their surveillance cameras running and a high quality image of the suspects was captured, which led to their apprehension. CCTV is playing a bigger and bigger role is security every day. As crime gets more advanced and high tech, so does the technology to stop it. “Altec Systems” is a premier Security Services and Technology Solutions company. Take the confusion out of selecting the right CCTV solution for your business, and let Altec Systems provide you with an absolutely free, no obligation, assessment of your facility or wherever you need appropriate surveillance. With the help of CCTV camera nowadays, it helps our crime officers to fast determine those criminal with the help of CCTV cameras. Nice post thank you for giving this information.